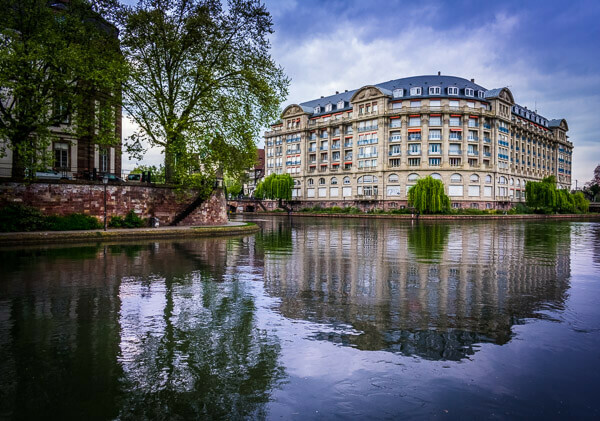 If you plan to visit Strasbourg in the Alsace for a short trip you are absolutely right here and I’m sure you will ask your self what to do in Strasbourg. This is exactly what I will tell you now. After my plans to go to Prague over the Easter break felt through I had to search for a cheap alternative. You will know it from your own experiences, finding an interesting place to go whilst holidays can be expensive! After I couldn’t find a cheap flight that short-term I had to search for closer locations. So I discovered Alsace, especially Strasbourg and Colmar, because of its amazing pictures on Instagram. Due to the fact that Alsace is located very close to Switzerland, it was an easy decision in the end. Just some hours traveling by train from Basel to Strasbourg and I was there. But before I arrived in Strasbourg itself I had to tick off a place that is considered a must-do when visiting Alsace. 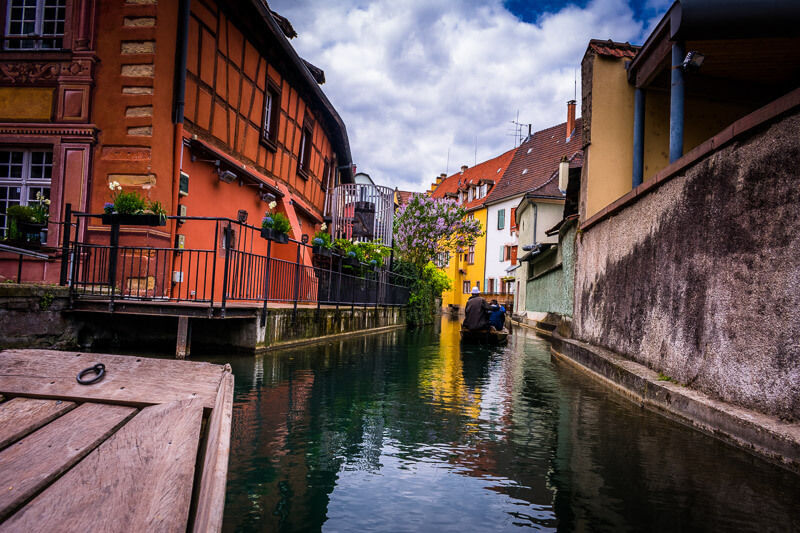 Colmar, a small village with beautiful colors and architecture. And this decision was definitely worth it! After my arrival at the train station, I headed directly to the most famous part of Colmar: Little Venice. I was confused about the name because Venice is everything but not close to Alsace. But once you stand in between the lovely architecture, the several bridges and see the amazing reflections in the water you will be convinced by this fairytale-like place. If not, there is even a boat which you can take, exactly like in Venice. Well, the tourist guide speaks with French instead of an Italian accent. But to be honest: Both are funny and cute to listen. So you tell me the only thing to do in Colmar is visiting little Venice? That should be worth a trip though? No, not at all! What fascinated me was just walking around in the old town. You will feel like in an old town in Germany, and probably ask yourself: Am I really in France? Oui! You are! But you can’t overlook the German influence. And that’s what makes this little town so special and interesting. Because I am a horrible tourist I also took a boat tour and made some pictures while leaning out of the boat. I don’t like to admit it: But the pictures were mostly crap, so my effort only resulted in looking like an absolute idiot. But who cares! Also pretty famous are the “Musee Unterlinden” and the “Maison Pfister” which are both located in the old town. Furthermore, there are a couple of other museums, which I personally didn’t visit, and some wine tours that look pretty decent. 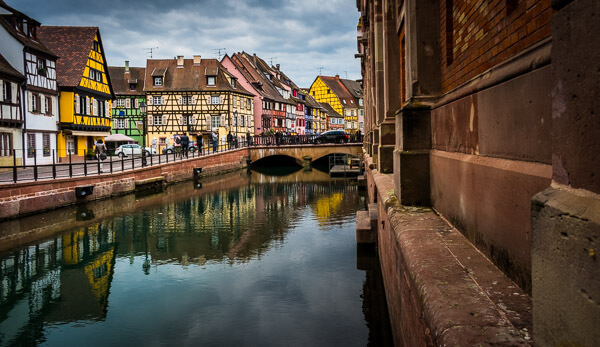 In my opinion, Colmar is a perfect day trip from Strasbourg. From Colmar to Strasbourg. From Little Venice to Little France. And once again: It is, in my opinion, the most interesting area of Strasbourg. Just walk into the old city center, dip into the atmosphere and walk around. There are great views around every corner, chic restaurants and also boat tours, with a much bigger ship though. Actually, I couldn’t do one of the tours there, because my credit card didn’t work. Unfortunately, you could only pay for it with a credit card. But from what I heard of other travelers there it was pretty cool. Again, there is only one interesting area in the whole city? Not at all again. The highlight of the city is the world famous “Cathedrale Notre Dame” which is 142m high. I can highly recommend going on top of the Cathedral. Once you reach the top (training session for your legs included) you will have an impressive view over the whole city. If you want to take panoramic pictures I’d go there in the evening, shortly before sunset. The same applies to the “Barrage Vauban”, from where you have a fantastic view of most parts of the city. To enjoy your time in Strasbourg to its fullest I can recommend the Strasbourg 3-Day City Pass, which I used too. Most people will definitely go to the European Parliament, which I can understand, because it is really interesting. Really close to it you can find one of the places to see in Strasbourg: Parc de l’Orangerie. 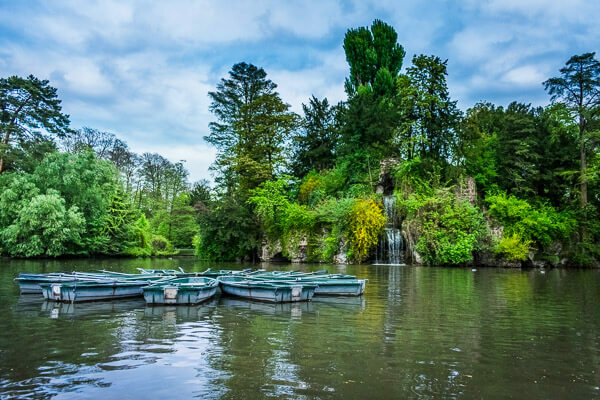 It is a big park with a lake, beautiful flowers and some waterfalls. I just bought my new equipment this time and tried to do my first long exposure shots there. Also if you are not a photographer I would go to this park if you want to find some silence in a very touristic city, take some pictures with your smartphone or just explore the beautiful area. Alsace, particularly Colmar and Strasbourg are for sure a cute area in France. Still, I wouldn’t go there if you live far away. In my view, it is perfect to visit Strasbourg on a weekend, especially if you already stay in France, Germany or Switzerland, from where you can reach it pretty fast. Especially if you are a photographer you will just love it there. The rivers always offer great reflections to play around with your camera. Combined with the big possibilities to visit historical museums, the great food, and just the general atmosphere it is a good idea to visit Strasbourg and the whole Alsace. But if you expect a typical French city like Paris, Nizza or Montpellier, you will not find it there.